This 90-minute presentation starts with a five-word question: Why aren’t you selling more? 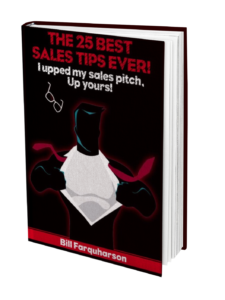 From there, it will deliver on its title by giving you 25 ideas for sales growth, managing time, overcoming the “price” and “already have a vendor” objections, teach you better negotiation and closing skills, and inject you with so much motivation you’ll want to rush out and make calls! It’s a presentation aimed at new reps, veteran reps, selling owners, and sales managers. If your wrist isn’t sore from writing down every new idea to overcome your sales challenges, you’re not paying attention! 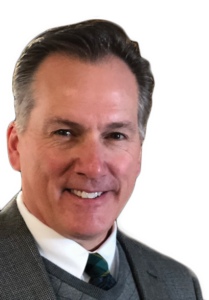 Bill Farquharson is a sales trainer with 35-years of print sales experience, whose instantly-applicable ideas are viewed and valued by thousands of sales people and selling owners. Bill’s passion for the industry and love of learning comes through with every live presentation. In addition to being your presentor, Bill Farquharson is also an author an is offering an exclusive discount to PIASD Sales Club members!